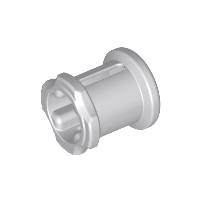 I've recently bought bulk parts, and wish to sort out the official LEGO pieces from the inferior quality 3rd party clones. On bricks I can easily spot-out the clones, becasue they don't sport the "LEGO" logo on the studs. My tip off is that some of the Bushings don't grip well to various axles, thus giving me the idea that these Bushings too, might be some inferior quality 3rd party clones. Some of the Bushings have VERY tiny writings with the "LEGO" logo. Does this mean all pieces without the logo are clones? Has LEGO branded all parts (even the smallest) with a logo? Has it been doing so from many years back? have some numbers and the copyright "(c)" sign, but no "LEGO" logo. I've checked many pieces. Some large ones have "LEGO Group" written on it. So, regarding authenticity, would the logo matter? 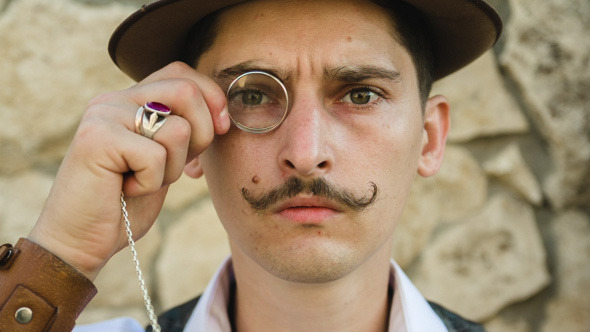 Maybe I'm into perfection too much, but I'd like to sort-out my collection form the fakes, and preferably without breaking out the 10x monocle lens. Regarding the Bushings, I think the loss of their gripping/clutching power has less to due with a phantom cloning agent, and more to due with the quality of the official LEGO piece, and how plastic degrades over time. My collection has Bushings that are weak too, but its due to age (over 25+ years) and normal play. Mine are not clones. Now the issue with copyright holders is a little different. LEGO doesn't hold the patent design for the classic brick, becasue they didn't invent it, so now it's a friggin' free for all with clone "bricks" manufacturers. 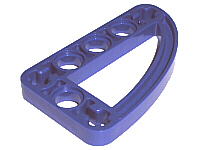 As for non-brick designs like the Technic Bush, and that thin blue piece, LEGO owns those, and could bring forward litigation to copyright infringers. Not the answer you're looking for? Browse other questions tagged technic history clone-brands 3rd-party quality or ask your own question. What are the best options for building a LEGO RC car? How to Make a Lego Claw Arm? How do people build large collections of bricks? Modified 3x2 Plate with Rubber Bottom and snap-on cover?